Scouting Notebook: Real Madrid's Martin Odegaard Is Fizzling Out...Again! The whirlwind story of Martin Odegaard's short career so far has been a difficult one to keep abreast of. Infused with all of the drama of a player who is on the books of Real Madrid, but with an added dose of intrigue stemming from the fact he is Norway's crown jewel of young talents. He's been tugged this way and that relentlessly. The Norwegian's early forays into senior football have certainly been eventful. This a boy who made his senior Tippeligaen debut aged 15 years and 118 days, then turned out for Norway's senior team 135 days later—both are records. He then embarked on a mini tour of Europe as clubs fell over themselves to bid for his services, viewing facilities and stadiums as if he were an A-plus student with invites from every top university. Real Madrid won his heart, but from there it's been difficult. Trading training sessions with the first team and the Castilla setup, he jelled with neither set of players and didn't click with the latter set in competitive reserve action. Years have ticked by and yet we've barely heard a squeak—no highlight-reel moments, no glorious goals, no progress reports, even. An attempt to fix that was made this January; Real Madrid loaned him to Eredivisie club Heerenveen on a one-and-a-half-year deal. The thought process seems logical: A technically neat, if not physically overbearing league like the Netherlands' top tier does seem the perfect breeding ground for a player like Odegaard. His reputation as a gifted, creative central midfielder precedes him. 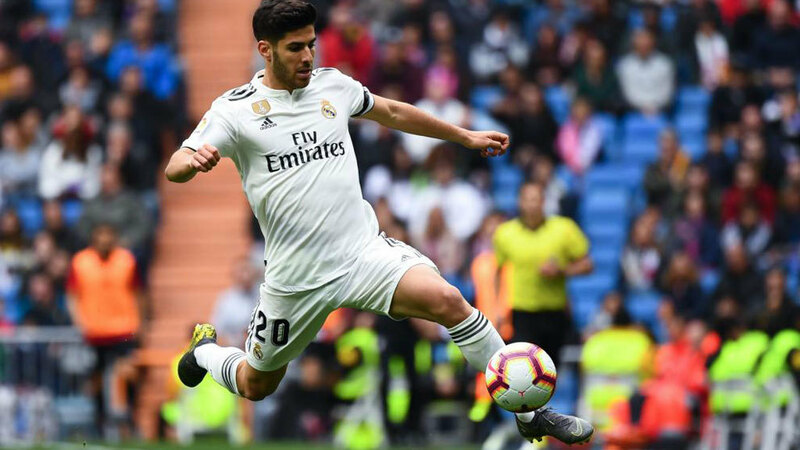 Even if he's been buried, rarely to be seen unless you watch Real Madrid's Castilla outfit, he's at least been able to show glimpses of something special for his national side. England's under-21s took on Norway's last September, and although the Three Lions ran out comfortable 6-1 winners in the end (largely thanks to Marcus Rashford's brilliance on the counter), it was the Scandinavian outfit who applied all the early pressure and dominated play. Odegaard, predictably, was at the heart of that, dipping in and out between the lines, circulating possession under pressure and creating chances. It took Nathaniel Chalobah and Lewis Baker a good 25 minutes to get to grips with how to deal with him, as he kept evading pressure and darting in behind his markers. But perhaps this game, and the way it eventually unravelled for Odegaard and Co., is an apt metaphor for his career so far: promise so much at the beginning, but before long it peters out. It's what happened here, at Real Madrid and, seemingly, at Heerenveen so far. After a slow, drip-fed introduction to the team (one minute against ADO Den Haag on January 14, then 32 minutes against PSV the following week), he made his full debut against AZ Alkmaar in the cup. Heerenveen lost 1-0 to a side who would eventually make the final, but they played very well and created enough chances to score several of their own. Odegaard was central to a good attacking performance. He started brightly and continued in this vein, hunting for space between the lines, always moving and offering a new angle, and instigating quick passing interchanges—often of the one-touch variety—with team-mates. He moved the ball fast, and he moved it forward into attacking areas; there were a few perfectly weighted through balls, and the only knock on his game was that he insisted on moving the ball onto his left foot before doing anything with it, therefore occasionally spurning some of the impetus in attacks. He took all of those virtues into his second start, this time in the Eredivisie, against Groningen. Lively early on, he produced some technically neat moments and drew a gasp from the crowd with a backheel down the line to release a runner. Heerenveen's best chance to score—a half-open goal missed by Arber Zeneli—was initially set up by Odegaard with a David Silva-like edge-of-the-box pass. Heerenveen failed to win any of the first five matches Odegaard started—and in fact scored just a single goal in that period—but soon, things began to turn. He produced an assist in a 3-0 win over Roda JC, then another a week later against Go Ahead Eagles—the latter of which was particularly special. But then came an away loss to Excelsior, a match Odegaard couldn't find traction in. He was barely involved, touching the ball the second-least number of times (39 in 56 minutes) of any Heerenveen player. Morten Thorsby, who replaced him in the second half, managed 43 touches in just 34 minutes. This sparked Odegaard's run out of the team. Since coming off early against Excelsior, he's largely been reduced to extremely late cameo appearances. With rumours flying, per El Confidencial (h/t the Mirror), that Heerenveen must pay Real Madrid £34,000 every time the Norwegian doesn't make the pitch, these one-, two- and three-minute appearances do look a little suspicious. As technically talented and creative as Odegaard is, there's always an argument to be made in favour of balancing a team out. You sacrifice a certain defensive capability in playing the Norwegian—he's significantly less defensively productive than, say, Thorsby, who has taken his place in the side (and is also Norwegian!). Following the Excelsior loss, Heerenveen embarked on a difficult run of fixtures including Ajax, Feyenoord and Vitesse; coach Jurgen Streppel clearly favoured defensive solidity. It serves as the latest knock on a heavily scrutinised career: Odegaard, as talented and exhilarating as he is, is not an all-purpose player at this point. As Heerenveen have slipped down the Eredivisie table—they were fourth on New Year's Day, now they're 16 points off FC Utrecht, who occupy that position—coach Streppel has opted to favour solidity over creativity, and that's limited the Norwegian to excruciatingly short cameos. The danger is that this is yet another wasted six months for Odegaard, who has managed just seven league starts since joining the club in January. He's still got a full season to go before returning to Real Madrid; he, in addition to the entire population of Norway, will hope things run a little smoother for him in 2017-18.